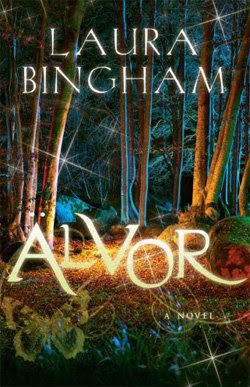 # of pages: 274 p.
Fifteen-year-old twins Erin and Bain grew up living with their grandfather after their parents died. One day while walking in the woods, they come across a secluded cabin and decide to enter. They soon discover that this cabin is a bridge to another magical world. In this world they each possess a special gift. In addition to this, they have incredible power and begin training in magic and swordplay in order to live in this new world that has been expecting them for many years. They love the new world, but do not know if they can leave their grandfather and everything they knew their whole lives in order to be a part of it. Plus, the new world has some dangers that they do not immediately know about. In other words, not everyone is happy to see their arrival. This fantasy story is well written and creates two characters that most readers will be able to connect to in some way. The story takes a leisurely pace, but the adventure is intriguing enough that most readers will follow. The story felt original in many ways and did not feel like it repeated elements found in many other fantasy stories. An impressive fantasy story that I will be introducing my students to.